Knockout Novel is a Hiveword add-on by acclaimed writing coach James Scott Bell which uses his popular methodology for writing great stories. His self-paced guidance will help you transform your novel into a knockout. Grab the reader's attention with proven techniques for unforgettable plots and novel-worthy objectives. Learn how to leverage the structural milestones of the masters. Create characters that readers love. From empathetic leads to villains that readers love to hate, Jim's guidance will help you create memorable characters. From tapping your inner creativity to crafting a perfect pitch, Knockout Novel will help you write a novel that sells. And keeps selling! Knockout Novel is an online program based on James Scott Bell’s #1 best-selling writing book, Plot & Structure. Over the years this book has helped countless writers improve their manuscripts. Now he brings you his material in an interactive form that will walk you through the crucial steps to creating a potential bestseller. Whether you only have an idea, or are well on your way to a finished novel, this system will supercharge your material and brainstorm with you. And you can keep coming back to it with each new book. Knockout Novel works whether you are a “plotter” (outline-oriented) or a “pantser” (like to write without much planning) or anything in between! 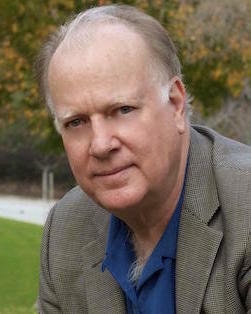 Jim is an author and writing coach whose influential books on writing have helped people around the world become novelists. "James Scott Bell's Knockout Novel is a valuable tool that helps me connect with my characters on an emotional level. The questions prompt me to consider things about my leads that never occurred to me before, helping me take them from cardboard characters to three dimensional, complex people readers can relate to. It's also helped me discover some major pitfalls in my current plot, keeping me from writing myself into a corner." Integrated novel organizer for tracking characters, scenes, etc.. This is a program that you can use over and over again, as if Jim were your personal writing coach. Join him on the journey to knockout novels and greater writing success. "Wow! This is exactly what I've been looking for in terms of process and organization. Brilliant!" Get started on your Knockout Novel today!